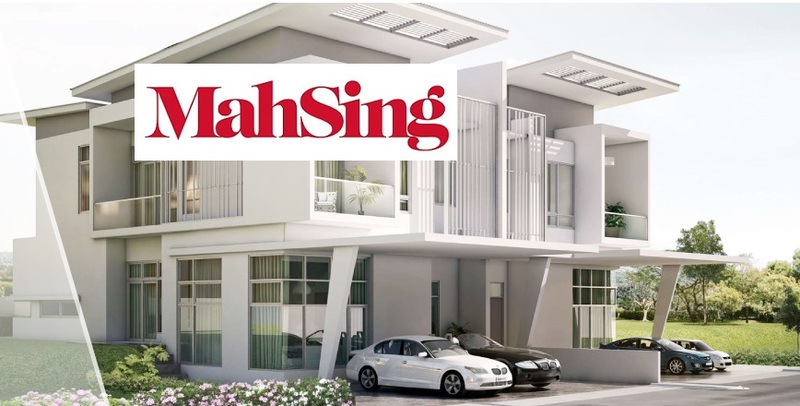 Upgrade to outperform with an unchanged target price (TP) of RM1.05: Mah Sing Group Bhd has entered into a sale and purchase agreement with TC Goldyear Sdn Bhd for the proposed acquisition of a 4.63-acre (1.87ha) freehold land in Mukim Petaling, Kuala Lumpur for RM90.3 million. The land in a matured area with established neighbourhoods of Old Klang Road, Sri Petaling, Bukit Jalil and Salak South is just 800m to the Taman Naga Emas mass rapid transit station and 1.1km from the Kajang Dispersal Link Expressway and New Pantai Expressway. The news did not come as a surprise to us as we had anticipated landbanking activities (note that our sum-of-parts [SoP] valuation includes RM2.2 billion gross development value [GDV] replenishment). We gather that the land already has its development order in place with a five-times plot ratio for a serviced apartment and that the land cost is inclusive of development charges and improvement service funds. Thus, the land cost-to-GDV ratio of 18% is reasonable and should yield mid-to-high-teens pre-tax margins, in line with the group’s average pre-tax margins. The land cost will be internally funded, resulting in financial year 2019 estimated (FY19E) net cash position narrowing to 0.13 times (from 0.16 times). M Centura and M Vertica, which have seen promising take-up rates. This will increase the odds of meeting, or even better, exceeding sales targets. We gather that sizes of the unit will start from 700 sq ft for two bedrooms with a starter price of RM428,000 per unit and there will also be three- to four-bedroom units as well. Average selling prices are expected to range between RM600 and RM650 per sq ft. Previews will likely start in the second half of 2019. The development period is over four to five years. Mah Sing’s FY19E sales target will be at least RM1.5 billion, according to management. This will be driven by RM2.2 billion worth of launches from its ongoing projects and more urban affordable units-to-residential upgrades of which 81% are priced below RM700,000. With its light balance sheet, we note that Mah Sing is still on the lookout for affordable housing land bank in the Klang Valley. We prefer to maintain our FY19E sales target at RM1.52 billion for now pending timing of the project’s launch and status of its inventory clearing process. 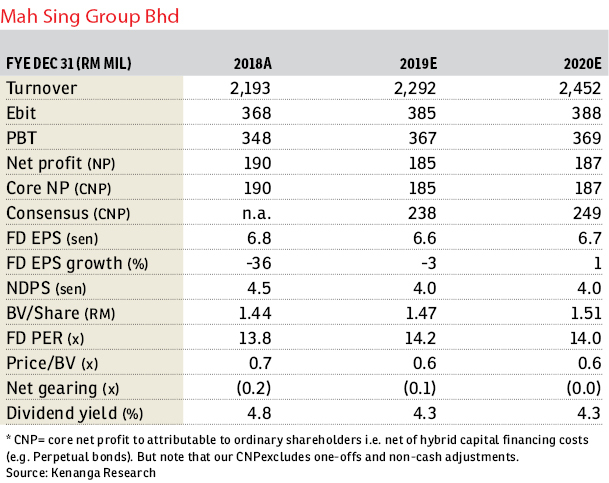 We have upgraded our call to “outperform”, with an unchanged TP of RM1.05, based on an SoP discount of 63%. There are no changes to our revalued net asset valuation.